Just a quick entry, Michigan was in a slight risk for the day and I left work early to go after the storms that had started to crop up to the west. A line had started to form with embedded cells, so I shot up north towards Charlotte to get on the best looking one. This entry will be short and sweet as it kind of was a surprise event and I wasn’t expecting anything like this for this day. As such, there was no forecast that went into “finding the target.” The majority of this day was luck based, perhaps a bit on positioning skill. Other than that, there is no secret formula to how I intercepted the storm, it just kind of happened. Nothing too exciting to report for this day. SPC had most of Lower Michigan in a slight risk for severe storms, but I wasn’t terribly interested in the day. 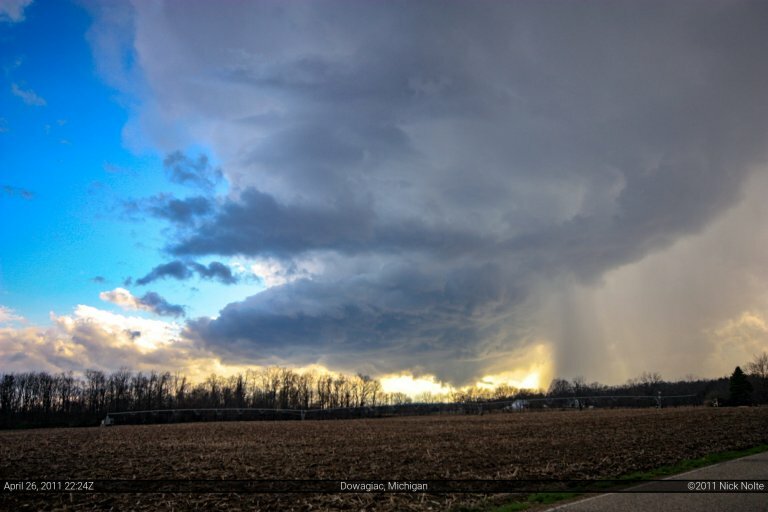 I was sitting at home keeping an eye on the storms near Grand Rapids when the southern cell started to appear very interesting to me. 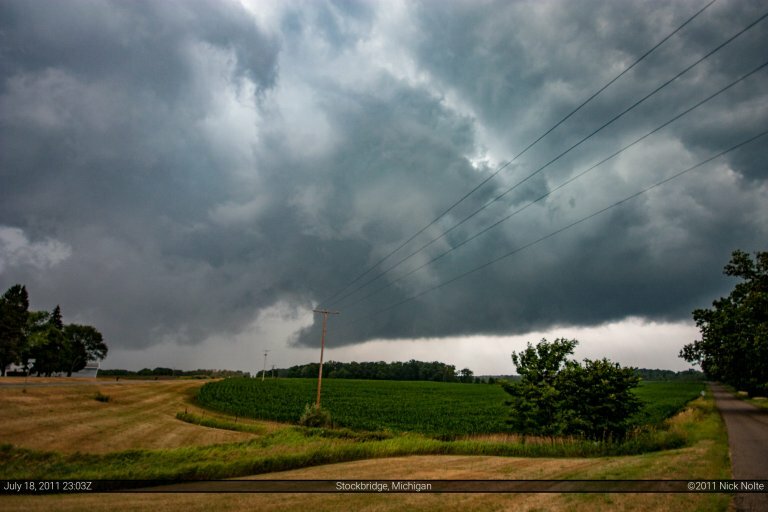 So, being that it was already southeast of Lansing, I headed towards it. 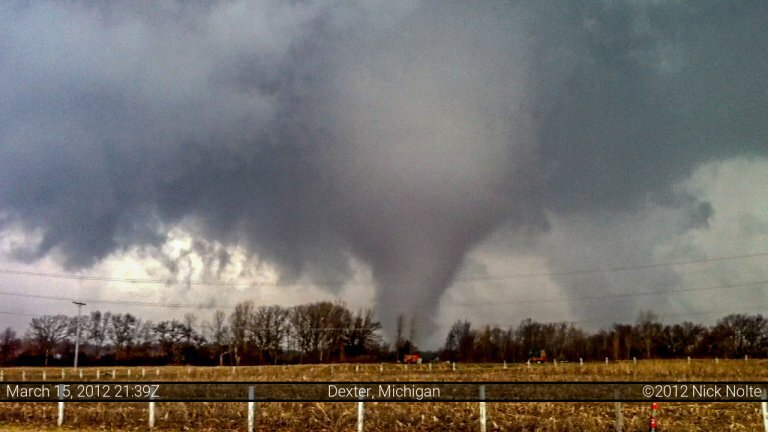 Hadn’t really paid attention to this day in Michigan. The big story was the impending tornado outbreak for the southeast that was to start this evening. Nevertheless, a little after 1pm a mesoscale discussion was issued regarding the potential for severe weather across Lower Michigan. 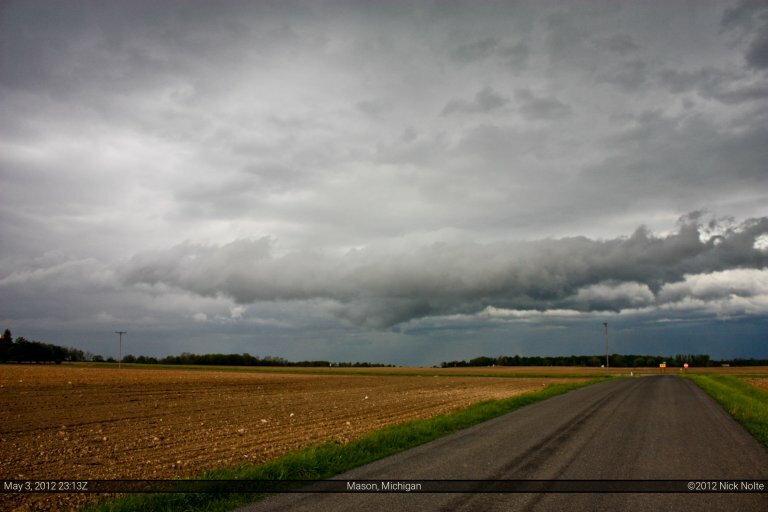 A surface low near Green Bay had a trailing cold front back through lower Michigan into Illinois. This front was expected to trigger storms as the atmosphere destabilized. Strong boundary layer flow coupled with strong flow at the mid levels was conducive to supercellular development. 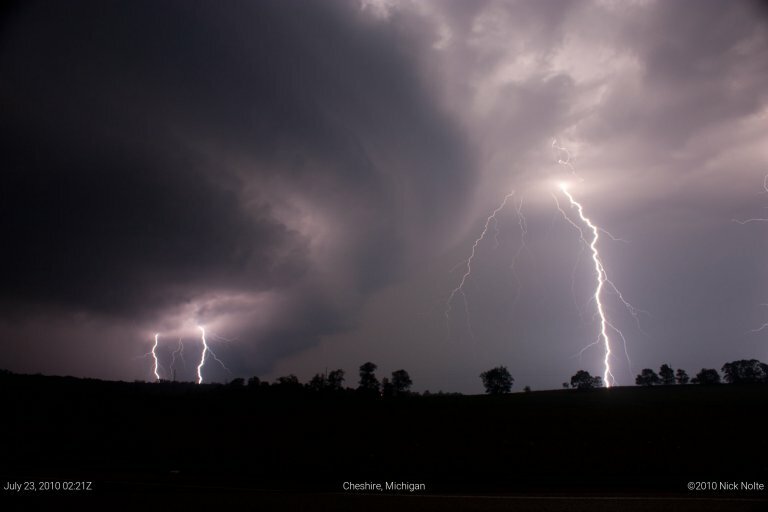 July 22, 2010 – Fennville Supercell Lightning Barrage!